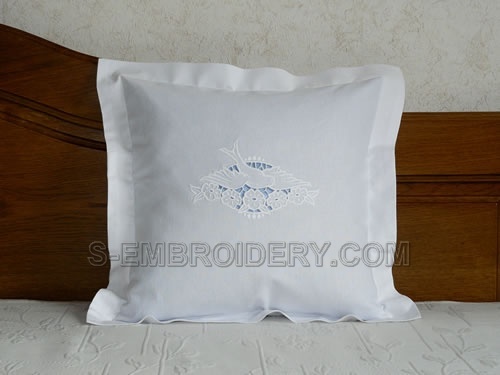 A dove cutwork lace embroidery design. 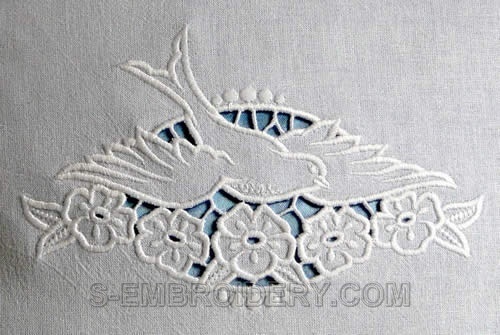 Can be used for cutwork decorations in your embroidery projects - e.g. table cloth, bed cover. Especially suitable for ring bearer pillow.